The term had no meaningful resonance. A culture of hard-core video gaming had long been known to exist, but it was just that; people with a serious and some thought unhealthy interest in playing video games for fun. Then and seemingly out of nowhere, the industry began to be taken seriously and the narrative changed. ESPN Sports began to stream live broadcasts. PR, Marketing and Media Agencies now routinely represent professional e-Sports players and their teams. Acquisitions have been made and a series of subsidiaries created, focusing on the space. Major consumer brand sponsors including Coca-Cola, Monster and Red Bull have entered the arena. And the numbers certainly stack up. Thus far sponsorship has proven the key, bringing in much more than has been raised by the media, advertising, merchandise and ticketing. Overall, $493m (£400m) was produced in revenue last year, with a global audience of about 320 million people. Prize money of $93.3m (£76m) was won, with the winning team at the League of Legends world championship, the biggest e-sports event, sharing a pot of $1m (£810,000). Finally, some predictions suggest that income will treble in the next four years, valuing E-sports as a $1.49bn (£1.21bn) industry by 2020. To place this is context, Deloitte pointed out in their 2016 Technology, Media and Telecommunications report that even if this trebling of income were to come to fruition, E-sports would still only represent one percent of global sports revenues. 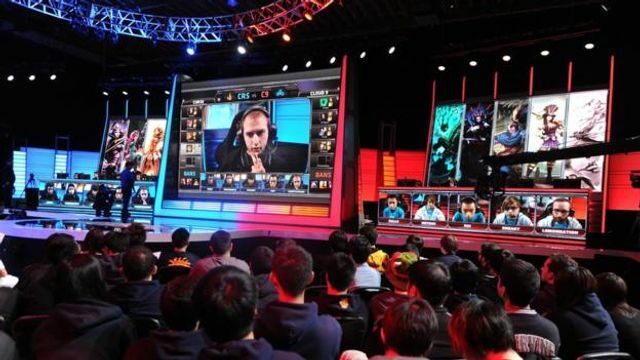 However, they also noted that E-sports reach tens of millions of people on a regular basis, and over a hundred million occasionally, making it comparable to certain traditional sports. So whilst E-sports are unlikely to match or surpass traditional sports in the short term, its potential business value is far too significant to ignore. For example, its fans have been described as “an advertising goldmine”, a description supported by their spending habits. They are more likely than many other consumers to make in-game purchases and subscribe to digital media, as well as to purchase clothing and other branded items, hardware and peripherals. Its not hard to understand why Paris St-Germain has created a bespoke E-sports franchise, or why English clubs such as Manchester City and West Ham have signed up individual E-gamers to represent them. The plan is to bring their brands to the attention of a large number of people, who don't necessarily know anything about football. Then there is the market for betting which is growing at least as fast, if not faster, than E-sports itself, into an industry where hundreds of millions of dollars are gambled annually, by millions of players hailing from across the world. In addition to this there is a well documented and similarly valuable market for the gambling of "skins" and other cosmetic, tradable in game items, open to anyone playing from their home computer. These last points highlight potential regulatory issues, as there are many reasons why matches might be fixed and as matters stand, there is inadequate to non existent provision for professional regulation. Indeed, effective regulation can't be achieved to a meaningful degree without direct involvement on the part of both game developers and publishers. Amidst this exponential rise in both popularity and risk a second and perhaps more pertinent question has arisen; can E-sports really be considered "sport" at all? Back in September 2014, ESPN president John Skipper observed that “It’s not a sport — it’s a competition. Chess is a competition. Checkers is a competition. Mostly, I’m interested in doing real sports". He appears to have swallowed those words, as ESPN has since launched a dedicated E-sports section to its website and has dedicated an edition of "ESPN The Magazine" to E-sports and is significantly increasing on screen coverage. In the more recent words of editor in chief Chad Millman "Who cares about the question? At the end of the day, it's cool, it's intense, the competition is crazy, it has million-dollar performers...it has everything that makes sports interesting to cover...I don't think the audience cares". As it happens, scientists at the German Sports University have conducted a study of E-sports athletes and were surprised to discover that they are exposed to physical strains similar to those of so called "normal" athletes. Further and on average, an E-sports athlete's career is short, usually ending in his or her mid-20s, when reflexes start to go and younger competitors find themselves at an advantage. It may be a virtual experience but the reality is that the day when E-sports become a billion dollar industry, with all the additional opportunities and dangers which that entails, draws ever closer. Football clubs are signing whole teams of players who'll never even kick a ball.